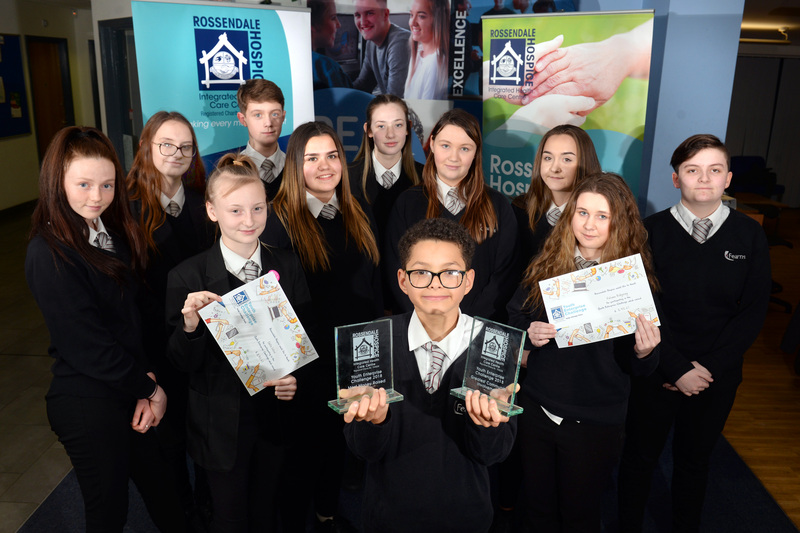 AN INCREDIBLE £2,875 was raised by pupils from Fearns for Rossendale Hospice through the Youth Enterprise Challenge. The Year 10 pupils worked extremely hard and came up with some imaginative ideas including a hugely successful sponsored walk that raised the most money. At Alder Grange School in Rawtenstall, the team presented what they had done in front of the judges and won two trophies - firstly for the most money raised per pupil and secondly for best community involvement. Lizzie Mawson said: “We explained to the judges all of the different ways that we used to raise the money including involving the whole school. “It was a shock to realise how much we had raised when you think of how many pupils we have in our school compared to others - it was nearly £10 per pupil. Burnley Football Club was also involved in the fund raising as the team organised a Soccer Knockout. They also organised bag packs at both B&M Homestore and Morrisons in Bacup and Emma East said shoppers were very generous.